Brush up on your detective skills because these boozy beauties aren't easy to find. 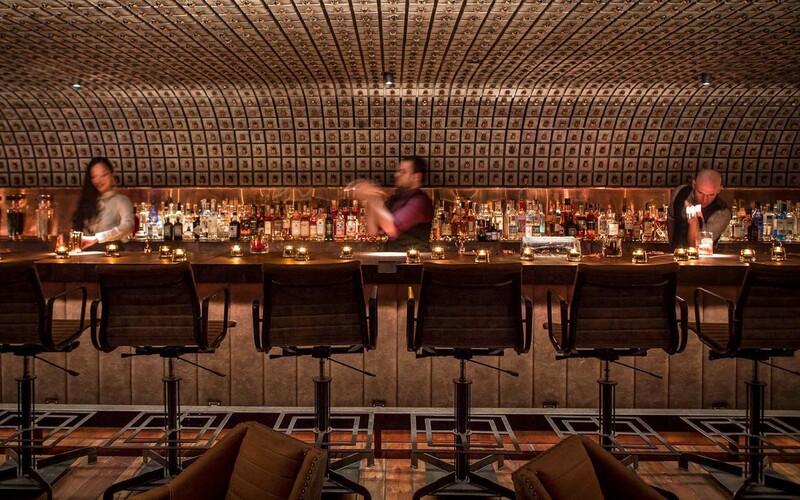 Speakeasies are a speciality in Hong Kong, China, with a slew of enigmatic venues eager to be discovered. But you best brush up on your detective skills, because these boozy beauties aren’t easy to find. Prepare yourself for no signage, secret switches and a maze of directions to follow. Behind every secret bar is a story. Mrs. Pound’s narrative follows a world-renowned burlesque dancer who disappeared from the public eye and eloped with her lover, Mr Ming. The story goes that Mr Ming gifted the a humble stamp shop to Mrs Pound to keep her location discreet. Behind the shop, however, the menu is packed full of Asian comfort food like avocado fries, salted egg yolk squid, street corn and laksa fried rice. 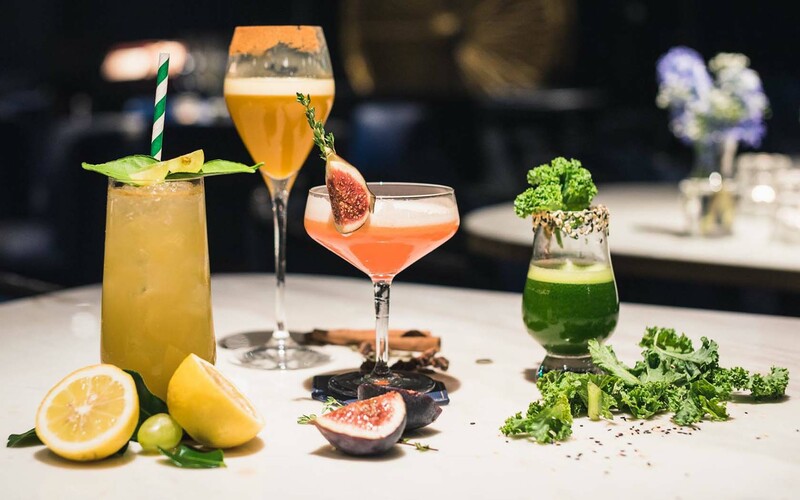 A range of creative cocktails are also on offer, including the Red Date Elixir (a boozy fusion of red date, longan syrup, flower tea, lime juice and kinmen kaoliang), starting at $12. To find the stylish hideaway, follow 6 Pound Lane, just off of Hollywood Road in Sheung Wan, on the corner of Pound Lane and Tai Ping Shan Road. Once you’re there, find the very well hidden switch that opens the door. Mrs Pound’s is open daily between 12pm and 11pm, with happy hour running Monday to Friday from 5pm to 8pm. J.Boroski is the bar for cocktail connoisseurs. It’s located in a secluded neighbourhood off Hollywood Road in Central. 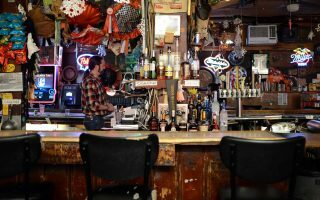 But visitors can’t just rock up – the bar maintains a strict “invite-only” rule. Due to the high-brow nature of the bar, brushing shoulders with the city’s big-spenders is a genuine possibility, especially as drink prices are steep. 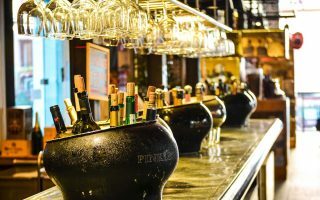 Costing anywhere between $29 and $325, cocktails are designed on the spot by expert mixologists who cater to your tastebuds, not a recipe. And, with gold beetles lining the walls and no menu to speak of, J.Boroski leaves a James Bond-esque impression. To request an invitation to enter the bar, contact +852 2603 6020 or email [email protected] If your request is accepted, you’ll receive a confidential email with the location details. Fingers crossed! Foxglove’s been “selling bespoke umbrellas since 1868”, which is code for “has been a speakeasy lounge since 2015”. The British-themed jazz lounge is hidden at Printing House, 2/F, 6 Duddell Street in Central. But if you press on a certain umbrella, you’ll be transported into a classy soiree. Legend has it that a man named Mr Minza was nursing a broken heart. The foxglove flower, as it happens, can treat ailments of the heart if used correctly. So, in a bid to woo the woman of his dreams, Mr Minza founded Foxglove, named after his lost lover’s favourite flower. The moody lounge is the second venture from Ming Fat House, the owners of Mrs Pound, and the cocktails are just as delicious. 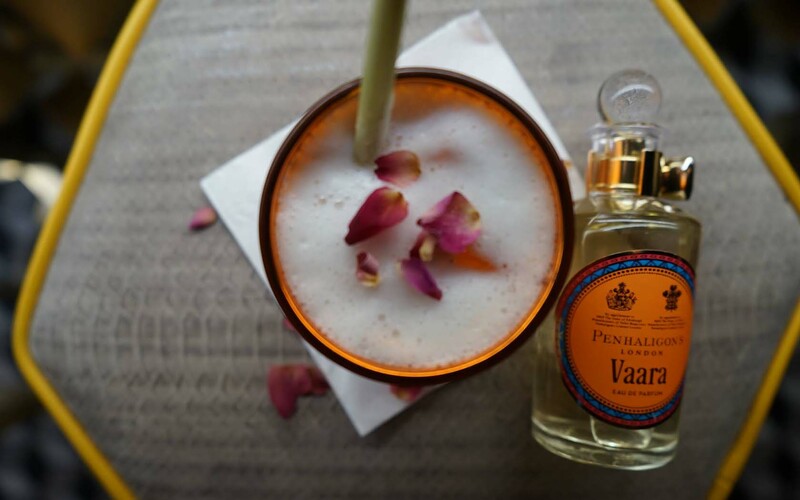 Try the camellia and daisy cocktail, with its oolong milk tea-infused cognac, homemade orange cordial, egg white and orange bitters. Foxglove is open Monday to Thursday, 12pm to 1am, Friday 12pm to 3am, and Saturday 5pm to 3am. Behind a one-way mirror in Central’s Wyndham Street lies a cocktail lounge begging to be explored. High Line might not have a flowery narrative behind it, but it does have aromatic cocktails on offer. Upon entry, guests are presented with a tray of perfumes by a bartender. Pick one and they’ll mix a cocktail to match your scent of choice. Staples include Studio 54, a mix of vodka, gin, slow cooked onion and juniper berries and Don’t Call Me Honey, featuring aged rum and Tasmanian Leatherwood honey. High Line has a roaring ’20s theme and boasts an impressive range of Japanese whiskies. The food menu offers a twist on your favourite pub classics including ramen burgers, lobster rolls and the lamb wrap. To find the dimly-lit cocktail den, head to 50 Wyndham Street, Central, behind Street Meat. It’s open Monday to Thursday, 6pm to 1am, and 6pm to 3am on Fridays. Check out Qantas flights to book your next adventure in Hong Kong, China.